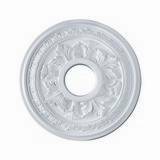 Small ceiling medallions between 10 and 20 inches in diameter. 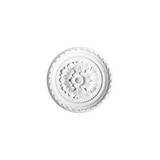 Ceiling Medallion Diameter: 13-1/4 in. 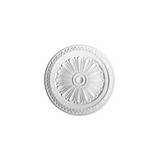 Ceiling Medallion Diameter: 14-3/8 in. 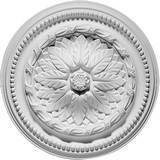 Ceiling Medallion Diameter: 14-3/4 in. 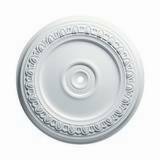 Ceiling Medallion Projection: 2-7/8 in. 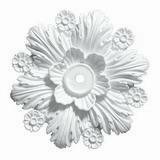 Ceiling Medallion Diameter: 15 in. 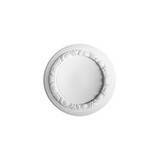 Ceiling Medallion Diameter: 15-1/8 in. 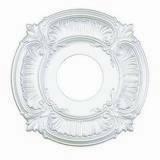 Ceiling Medallion Canopy: 1-3/8 in. 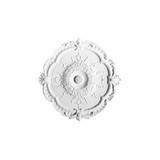 Ceiling Medallion Diameter: 15-1/4 in. 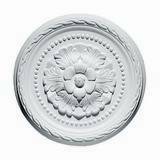 Ceiling Medallion Diameter: 15-3/8 in. 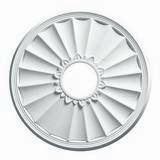 Ceiling Medallion Diameter: 15-3/4 in. 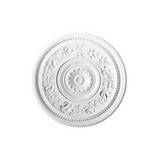 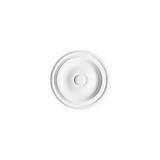 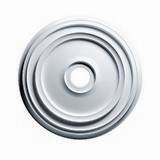 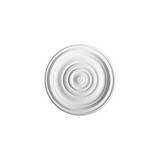 Ceiling Medallion Diameter: 15-13/16 in. 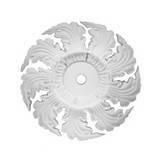 Ceiling Medallion Canopy: 4 in. 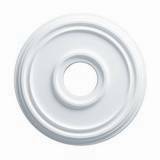 Ceiling Medallion Center Hole: 3-3/4 in. 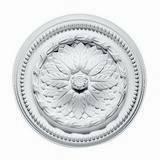 Ceiling Medallion Diameter: 15-7/8 in.